This was a sweet email to receive from ever-encouraging mint.com. I (somehow) resisted DBF’s awesome temptations this weekend and deposited $35 worth of savings in my account to complete my goal. After some eye-opening, heart-wrenching and hilarious author presentations, I have added this, this and this to my list of potential holiday gifts! 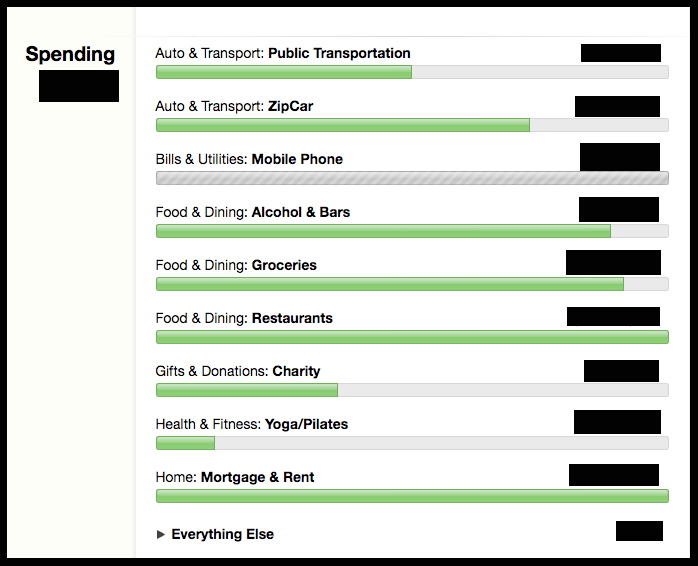 I’m pretty sure my budgets have not ALL been green since… ever. I’m really not sure how it happened (other than large doses of will power and luck), but I am thankful! Thank everyone again for your great support! I hope you all had an excellent and restful Labor Day. 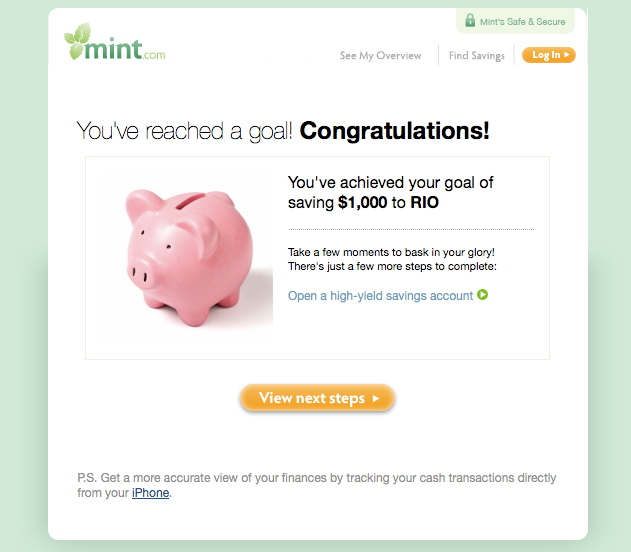 Check back in soon for a new approach to this here blogito now that this savings challenge is complete! I demand more posts! Demand! I know Em! Once these non-profit blogs I’m working on get off the ground, I’ll be back! I’m thinking arts + activism + atlanta + world… it’s marinating. thanks for the support!